The leading expert in global ideas and practices of romance, passion, relationships, marriage and intimacy. Karinna Karsten, The Love Educator, is an internationally recognized relationship expert, speaker, author of the best-selling book, Intimate Wisdom, The Sacred Art of Love, and the creator/host of the popular DVD Sacred Love-Making. In 2002 she founded Sacred Love, Inc., an empowering relationship media-based company in Los Angeles, where she has produced over a dozen inspiring Books, CDs, DVDs, and E-books on how to attract and enhance love and intimacy. Recently she expanded the Sacred Love brand to provide a multitude of membership services including singles on-line dating, couples connection services, Love Spa and Love TV. Mrs. Karsten's deep passion to help people enjoy more meaningful relationships has been continuously fueled by over 20 years of experience studying relationship wisdom from across the globe and incorporating the work of pivotal western philosophers and psychologists. While living all over the world in Europe, Asia, Australia and the United States, Karinna explored cultural mythology, comparative religion and regional intimate practices and her work is strongly influenced by these findings. 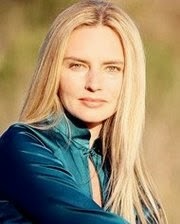 She has utilized her unique approach to love and relationships to help millions of singles and couples worldwide. She is happily married to her own Sacred Love partner. Karinna regularly gives key note speeches on relationships for Celebrity A-List events, prestigious organizations such as the Entrepreneurs Organization, and academic institutions such as New York University. She has appeared on television shows like the UK's Million Dollar Romance and NBC's Starting Over, has given advice on the pages of national magazines like Women's Health, Cosmopolitan, and SELF, and has been heard on numerous radio shows and blogs all over the world.